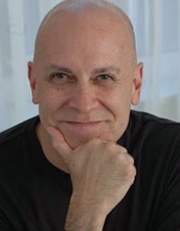 Rocco Dal Vera is a Professor of Drama at the University of Cincinnati’s College-Conservatory of Music where he specializes in voice and speech for actors. He is also on the faculties of the University of Cincinnati College of Law, the Xavier Leadership Center at their Williams College of Business and Proctor and Gamble’s clay street project. He is the author and editor of six books, many of which have influenced curricular design at a number of schools and been translated extensively (most recently, Korean and Portuguese). He is the subject of a chapter in Voice and Speech Training in the New Millennium: Conversations With Master Teachers (Applause Books, 2011). Voice: Onstage and Off, co-authored with Robert Barton just came out in a new fully revised edition. Acting in Musical Theatre: A Comprehensive Course, co-authored with Joe Deer, is also entering its second edition. For three years Deer and Dal Vera had a regular monthly article in Dramatics Magazine called "Acting in Musical Theatre" and are frequent contributors to the journal Teaching Theatre. The former head of the BFA Professional Actor and Musical Theatre Training Programs for Wright State University, he is on the Advisory Board for the Relativity School, and has also taught at the National Theatre Conservatory, Willamette University, United States International University and is the former chair of the Voice and Speech Department at The American Academy of Dramatic Arts. For the last 16 seasons he has been the resident vocal coach for the Tony-Award winning Cincinnati Playhouse in the Park, and the Actors Theatre of Louisville. He is a resident artist at the Cincinnati Shakespeare Company and the Ensemble Theatre of Cincinnati, and works as a voice and speech coach at numerous theatres around the US including, Oregon Shakespeare Festival, the Denver Center for the Performing Arts, the Dorothy Chandler Pavilion, Long Beach Civic Light Opera, and the Los Angeles Theatre Center. His voice can be heard on numerous commercials and he has worked on over 500 films and television shows including L. A. Law, Hill Street Blues, THIRTYsomething, Raiders of the Lost Ark and The Gods Must Be Crazy. He can be seen as co-host and assistant producer of the public television series, Healthward Bound...a lifelong journey, which won the prize for Best Series at the American Medical Association's International Film Awards. MFA, National Theatre Conservatory at the Denver Center for the Performing Arts. BFA, United States International University. 1998 to To Present, University of Cincinnati College-Conservatory of Music.